In thrift stores you can find wonderful clothes. You only need to rummage through thousand piles and hangers and not be too precise in what are you looking for. Call it «serendipity mood» or the hunger for making unespected discoveries. I was looking for soft leather. I started with Guerrisol (one of the least expensive second hand stores in Paris) but the offer is not so extensive for real leather. 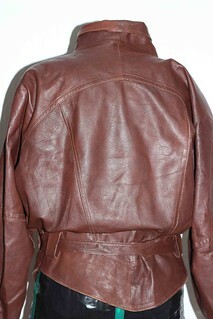 I ended up finding this ’80 style jacket whose front folds have immediately convinced me. Leaving the store, I knew exactly what I was going to do. 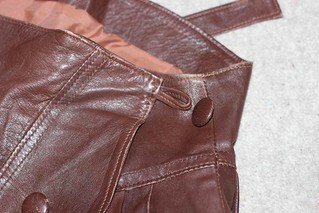 I started by cutting off the sleeves, removing shoulder pads and then I sewed the holes in order to get a rounded bag. I moved the button from top to waist, also the eyelet and added a security clip inside. 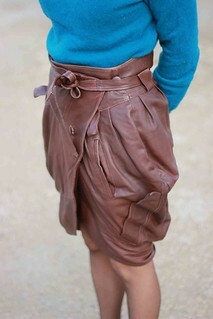 I then turned the jacket upside down to get a wrap skirt with a tie at the waist. Even the pockets are at their appropriate position. 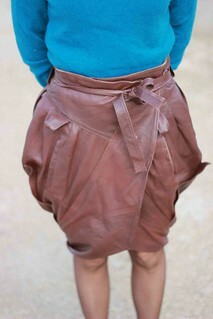 A leather skirt for 10 euro and a sewing afternoon, it is difficult to be more effcient. 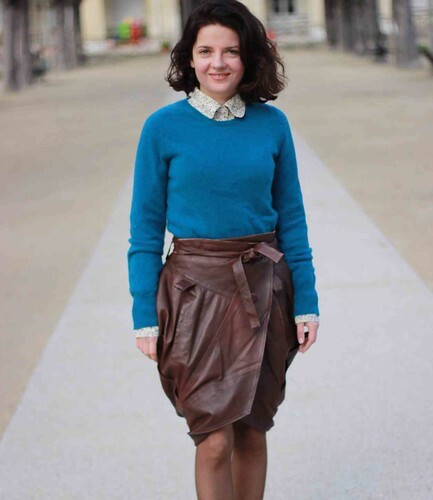 This entry was posted in Re-fashion and tagged leather, skirt, upcycling. Just had to leave a comment here as well as the Co-op! I seriously adore this refashion! And all of your pictures are gorgeous 🙂 Great styling as well…I really really want to find a leather jacket to do this! Perfection! Another amazingly creative project! Fabulous result! Such a creative idea and you look so good in it! 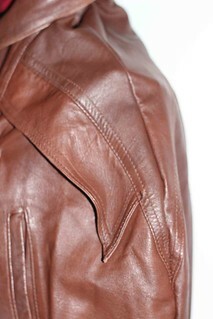 I definitely won’t look at an old leather jacket the same way again! Wowza! 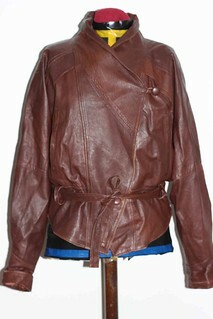 i would’ve never thought that a leather jacket could drape so nicely. Great refashion! And such a simple one. 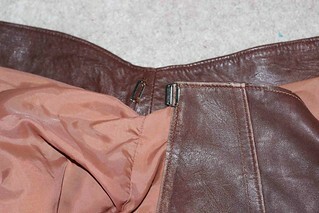 I just refashioned two leather coats into a handbag, an awful lot of work. This refashion is really inspiring, thanks! Now to keep my eyes open for a donor jacket. Your skirt is so beautiful! 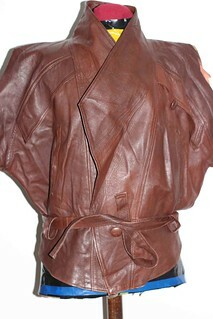 I’m going to be searching for a leather jacket to try this with. I’m so happy I found your blog, you have wonderful ideas! Very clever. You have a talent for design. wonderful. the styling is great as well. Love this!! That jacket is incredible!